This article is about the line of personal computers. For the fruit, see McIntosh (apple). For the waterproof coat, see Mackintosh. For other uses, see McIntosh (disambiguation). The Macintosh (/ˈmækᵻntɒʃ/ MAK-in-tosh; (branded as Mac since 1998) is a series of personal computers (PCs) designed, developed, and marketed by Apple Inc. Steve Jobs introduced the original Macintosh computer on January 10, 1984. This was the company's first mass-market personal computer featuring an integral graphical user interface and mouse. 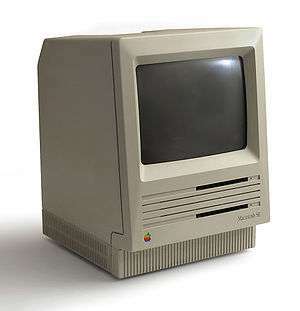 This first model was later renamed to "Macintosh 128k" for uniqueness amongst a populous family of subsequently updated models which are also based on Apple's same proprietary architecture. Since 1998, Apple has largely phased out the Macintosh name in favor of "Mac", though the product family has been nicknamed "Mac" or "the Mac" since the development of the first model. In 1998, after the return of Steve Jobs, Apple consolidated its multiple consumer-level desktop models into the all-in-one iMac G3, which became a commercial success and revitalized the brand. Since their transition to Intel processors in 2006, the complete lineup is entirely based on said processors and associated systems. Its current lineup comprises three desktops (the all-in-one iMac, entry-level Mac mini, and the Mac Pro graphics workstation), and three laptops (the MacBook, MacBook Air, and the MacBook Pro). Its Xserve server was discontinued in 2011 in favor of the Mac Mini and Mac Pro. Apple also develops the operating system for the Mac, currently macOS (formerly known as OS X) version 10.12 "Sierra". Macs are currently capable of running non-Apple operating systems such as Linux, OpenBSD, and Microsoft Windows with the aid of Boot Camp or third-party software. Apple does not license macOS for use on non-Apple computers, though it did license previous versions of the classic Mac OS through their Macintosh clone program from 1995 to 1997. The original 1984 Mac OS desktop featured a radically new graphical user interface. Users communicated with the computer, using a metaphorical desktop that included icons of real life items, instead of abstract textual commands. In 1978 Apple began to organize the Apple Lisa project, at that time aiming to build a next-generation machine similar to an advanced Apple III or the yet-to-be-introduced IBM PC. In 1979, Steve Jobs learned of the advanced work on graphical user interfaces (GUI) taking place at Xerox PARC, and arranged a deal in which Xerox received Apple stock options in return for which Apple would license their designs and their engineers would be allowed to visit PARC to see the systems in action. The Lisa project was immediately redirected to support a GUI, which at that time was well beyond the state of the art for microprocessor capabilities; the Xerox Alto required a custom processor that spanned several circuit boards in a case the size of a small refrigerator. But things had changed dramatically with the introduction of the 32-bit Motorola 68000 in 1979, which offered at least an order of magnitude better performance than existing designs, and made a GUI machine a practical possibility. The basic layout of the Lisa was largely complete by 1982, at which point Jobs' continual suggestions for improvements led to him being kicked off the project. At the same time that the Lisa was becoming a GUI machine in 1979, Jef Raskin started the Macintosh project. The design at that time was for a low-cost, easy-to-use machine for the average consumer. Instead of a GUI, it intended to use a text-based user interface that allowed several programs to be running and easily switched between, and special command keys on the keyboard that accessed standardized commands in the programs. Raskin was authorized to start hiring for the project in September 1979, and he immediately asked his long-time colleague, Brian Howard, to join him. His initial team would eventually consist of himself, Howard, Joanna Hoffman, Burrell Smith, and Bud Tribble. The rest of the original Mac team would include Bill Atkinson, Bob Belleville, Steve Capps, George Crow, Donn Denman, Chris Espinosa, Andy Hertzfeld, Bruce Horn, Susan Kare, Larry Kenyon, and Caroline Rose with Steve Jobs leading the project. Smith's first Macintosh board was built to Raskin's design specifications: it had 64 kilobytes (kB) of RAM, used the 8-bit Motorola 6809E microprocessor, and was capable of supporting a 256×256-pixel black-and-white bitmap display. Bud Tribble, a member of the Mac team, was interested in running the Apple Lisa's graphical programs on the Macintosh, and asked Smith whether he could incorporate the Lisa's Motorola 68000 microprocessor into the Mac while still keeping the production cost down. By December 1980, Smith had succeeded in designing a board that not only used the 68000, but increased its speed from the Lisa's 5 MHz to 8 MHz; this board also had the capacity to support a 384×256-pixel display. Smith's design used fewer RAM chips than the Lisa, which made production of the board significantly more cost-efficient. The final Mac design was self-contained and had the complete QuickDraw picture language and interpreter in 64 kB of ROM – far more than most other computers which typically had around 4 to 8 kB of ROM; it had 128 kB of RAM, in the form of sixteen 64 kilobit (kb) RAM chips soldered to the logicboard. Though there were no memory slots, its RAM was expandable to 512 kB by means of soldering sixteen IC sockets to accept 256 kb RAM chips in place of the factory-installed chips. The final product's screen was a 9-inch, 512x342 pixel monochrome display, exceeding the size of the planned screen. 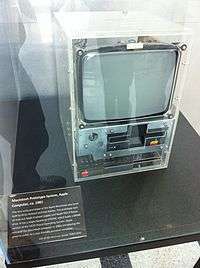 Burrel's innovative design, which combined the low production cost of an Apple II with the computing power of Lisa's CPU, the Motorola 68K, began to receive Jobs' attentions. Realizing that the Macintosh was more marketable than the Lisa, he began to focus his attention on the project. Raskin left the team in 1981 over a personality conflict with Jobs. Team member Andy Hertzfeld said that the final Macintosh design is closer to Jobs' ideas than Raskin's. When Jobs was told to stop bothering the Lisa team in 1982, he devoted his entire attentions to the Macintosh. However, Jobs' leadership at the Macintosh project did not last; after an internal power struggle with new CEO John Sculley, Jobs resigned from Apple in 1985. He went on to found NeXT, another computer company targeting the education market, and did not return until 1997, when Apple acquired NeXT. After the Lisa's announcement, John Dvorak discussed rumors of a mysterious "MacIntosh" project at Apple in February 1983. The company announced the Macintosh 128K—manufactured at an Apple factory in Fremont, California—in October 1983, followed by an 18-page brochure included with various magazines in December. The Macintosh was introduced by a US$1.5 million Ridley Scott television commercial, "1984". It most notably aired during the third quarter of Super Bowl XVIII on January 22, 1984, and is now considered a "watershed event" and a "masterpiece." McKenna called the ad "more successful than the Mac itself." "1984" used an unnamed heroine to represent the coming of the Macintosh (indicated by a Picasso-style picture of the computer on her white tank top) as a means of saving humanity from the "conformity" of IBM's attempts to dominate the computer industry. The ad alludes to George Orwell's novel, Nineteen Eighty-Four, which described a dystopian future ruled by a televised "Big Brother." Apple spent $2.5 million purchasing all 39 advertising pages in a special, post-election issue of Newsweek, and ran a "Test Drive a Macintosh" promotion, in which potential buyers with a credit card could take home a Macintosh for 24 hours and return it to a dealer afterwards. While 200,000 people participated, dealers disliked the promotion, the supply of computers was insufficient for demand, and many were returned in such a bad condition that they could no longer be sold. This marketing campaign caused CEO John Sculley to raise the price from US$1,995 to US$2,495 (about $5,200 when adjusted for inflation in 2010). The computer sold well, nonetheless, reportedly outselling the IBM PCjr which also began shipping early that year. By April 1984 the company sold 50,000 Macintoshes, and hoped for 70,000 by early May and almost 250,000 by the end of the year. Most Apple II sales had once been to companies, but the IBM PC caused small businesses, schools, and some homes to become Apple's main customers. Jobs stated during the Macintosh's introduction "we expect Macintosh to become the third industry standard", after the Apple II and IBM PC. Although outselling every other computer, it did not meet expectations during the first year, especially among business customers. Only about ten applications including MacWrite and MacPaint were widely available, although many non-Apple software developers participated in the introduction and Apple promised that 79 companies including Lotus, Digital Research, and Ashton-Tate were creating products for the new computer. After one year, it had less than one quarter of the software selection available compared to the IBM PC—including only one word processor, two databases, and one spreadsheet—although Apple had sold 280,000 Macintoshes compared to IBM's first year sales of fewer than 100,000 PCs. Developers were required to learn how to write software that used the Macintosh's graphic user interface, and early in the computer's history needed a Lisa 2 or Unix system to write Macintosh software. Despite standardizing on Pascal for software development Apple did not release a native-code Pascal compiler. Until third-party Pascal compilers appeared, developers had to write software in other languages while still learning enough Pascal to understand Inside Macintosh. MacWrite's inclusion with the Macintosh discouraged developers from creating other word processing software. The Apple Macintosh Plus at the Design Museum in Gothenburg, Sweden. 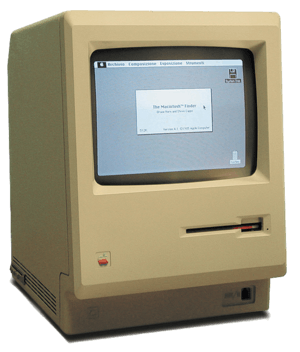 Apple released the Macintosh Plus on January 10, 1986, for a price of US$2,600. It offered one megabyte of RAM, easily expandable to four megabytes by the use of socketed RAM boards. It also featured a SCSI parallel interface, allowing up to seven peripherals—such as hard drives and scanners—to be attached to the machine. Its floppy drive was increased to an 800 kB capacity. The Mac Plus was an immediate success and remained in production, unchanged, until October 15, 1990; on sale for just over four years and ten months, it was the longest-lived Macintosh in Apple's history. In September 1986, Apple introduced the Macintosh Programmer's Workshop, or MPW, an application that allowed software developers to create software for Macintosh on Macintosh, rather than cross compiling from a Lisa. In August 1987, Apple unveiled HyperCard and MultiFinder, which added cooperative multitasking to the Macintosh. Apple began bundling both with every Macintosh. The Macintosh II, one of the first expandable Macintosh models. The Macintosh SE, updated Compact Macintosh design using Snow White design language. The Macintosh Portable, Apple's first battery-powered Macintosh. Microsoft Windows 3.0 was released in May 1990, and according to a common saying at the time "Windows was not as good as Macintosh, but it was good enough for the average user". Though still a graphical wrapper that relied upon MS-DOS, 3.0 was the first iteration of Windows which had a feature set and performance comparable to the much more expensive Macintosh platform. It also did not help matters that during the previous year Jean-Louis Gassée had steadfastly refused to lower the profit margins on Mac computers. Finally, there was a component shortage that rocked the exponentially-expanding PC industry in 1989, forcing Apple USA head Allan Loren to cut prices which dropped Apple's margins. It was not long until Apple released their first portable computer, the Macintosh Portable in 1989. 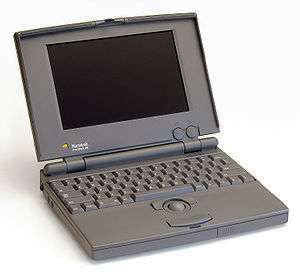 Although due to considerable design issues, it was soon replaced in 1991 with the first of the PowerBook line: the PowerBook 100, a miniaturized portable; the 16 MHz 68030 PowerBook 140; and the 25 MHz 68030 PowerBook 170. They were the first portable computers with the keyboard behind a palm rest and a built-in pointing device (a trackball) in front of the keyboard. The 1993 PowerBook 165c was Apple's first portable computer to feature a color screen, displaying 256 colors with 640 x 400-pixel resolution. 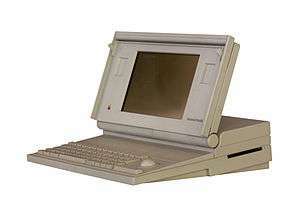 The second generation of PowerBooks, the 68040-equipped 500 series, introduced trackpads, integrated stereo speakers, and built-in Ethernet to the laptop form factor in 1994. As for Mac OS, System 7 was a 32-bit rewrite from Pascal to C++ that introduced virtual memory and improved the handling of color graphics, as well as memory addressing, networking, and co-operative multitasking. Also during this time, the Macintosh began to shed the "Snow White" design language, along with the expensive consulting fees they were paying to Frogdesign. Apple instead brought the design work in-house by establishing the Apple Industrial Design Group, becoming responsible for crafting a new look for all Apple products. Intel had tried unsuccessfully to push Apple to migrate the Macintosh platform to Intel chips. Apple concluded that Intel's CISC (Complex Instruction Set Computer) architecture ultimately would not be able to compete against RISC (Reduced Instruction Set Computer) processors. While the Motorola 68040 offered the same features as the Intel 80486 and could on a clock-for-clock basis significantly outperform the Intel chip, the 486 had the ability to be clocked significantly faster without suffering from overheating problems, especially the clock-doubled i486DX2 which ran the CPU logic at twice the external bus speed, giving such equipped IBM compatible systems a significant performance lead over their Macintosh equivalents. Apple's product design and engineering didn't help matters as they restricted the use of the '040 to their expensive Quadras for a time while the 486 was readily available to OEMs as well as enthusiasts who put together their own machines. In late 1991, as the higher-end Macintosh desktop lineup transitioned to the '040, Apple was unable to offer the '040 in their top-of-the-line PowerBooks until early 1994 with the PowerBook 500 series, several years after the first 486-powered IBM compatible laptops hit the market which cost Apple considerable sales. In 1993 Intel rolled out the Pentium processors as the successor to the 486, while the Motorola 68050 was never released, leaving the Macintosh platform a generation behind IBM compatibles in the latest CPU technology. In 1994, Apple abandoned Motorola CPUs for the RISC PowerPC architecture developed by the AIM alliance of Apple Computer, IBM, and Motorola. The Power Macintosh line, the first to use the new chips, proved to be highly successful, with over a million PowerPC units sold in nine months. However, in the long run, spurning Intel for the PowerPC was a mistake as the commoditization of Intel-architecture chips meant Apple couldn't compete on price against "the Dells of the world". Furthermore, Apple had created too many similar models that confused potential buyers. 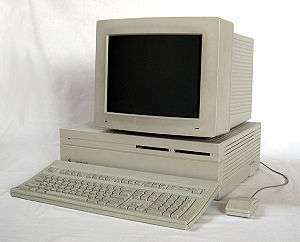 At one point, its product lineup was subdivided into Classic, LC, II, Quadra, Performa, and Centris models, with essentially the same computer being sold under a number of different names. These models competed against Macintosh clones, hardware manufactured by third parties that ran Apple's System 7. This succeeded in increasing the Macintosh's market share somewhat, and provided cheaper hardware for consumers, but hurt Apple financially as existing Apple customers began to buy cheaper clones which cannibalized the sales of Apple's higher-margin Macintosh systems, yet Apple still shouldered the burden of developing the Mac OS platform. Apple's market share further struggled due to the release of the Windows 95 operating system, which unified Microsoft's formerly separate MS-DOS and Windows products. Windows 95 significantly enhanced the multimedia capability and performance of IBM PC compatible computers, and brought the capabilities of Windows to parity with the Mac OS GUI. When Steve Jobs returned to Apple in 1997 following the company's purchase of NeXT, he ordered that the OS that had been previewed as version 7.7 be branded Mac OS 8 (in place of the never-to-appear Copland OS). Since Apple had licensed only System 7 to third parties, this move effectively ended the clone line. The decision caused significant financial losses for companies like Motorola, who produced the StarMax; Umax, who produced the SuperMac; and Power Computing, who offered several lines of Mac clones, including the PowerWave, PowerTower, and PowerTower Pro. These companies had invested substantial resources in creating their own Mac-compatible hardware. Apple bought out Power Computing's license, but allowed Umax to continue selling Mac clones until their license expired, as they had a sizeable presence in the lower-end segment that Apple did not. In September 1997 Apple extended Umax' license allowing them to sell clones with Mac OS 8, the only clone maker to do so, but with the restriction that they only sell low-end systems. Without the higher profit margins of high-end systems, however, Umax judged this would not be profitable and exited the Mac clone market in May 1998, having lost USD$36 million on the program. Mac OS continued to evolve up to version 9.2.2, including retrofits such as the addition of a nanokernel and support for Multiprocessing Services 2.0 in Mac OS 8.6, though its dated architecture made replacement necessary. Initially developed in the Pascal programming language, it was substantially rewritten in C++ for System 7. 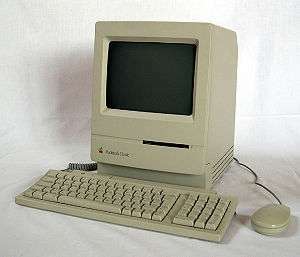 From its beginnings on an 8 MHz machine with 128 KB of RAM, it had grown to support Apple's latest 1 GHz G4-equipped Macs. Since its architecture was laid down, features that were already common on Apple's competition, like preemptive multitasking and protected memory, had become feasible on the kind of hardware Apple manufactured. As such, Apple introduced Mac OS X, a fully overhauled Unix-based successor to Mac OS 9. OS X uses Darwin, XNU, and Mach as foundations, and is based on NeXTSTEP. It was released to the public in September 2000, as the Mac OS X Public Beta, featuring a revamped user interface called "Aqua". At US$29.99, it allowed adventurous Mac users to sample Apple's new operating system and provide feedback for the actual release. The initial version of Mac OS X, 10.0 "Cheetah", was released on March 24, 2001. Older Mac OS applications could still run under early Mac OS X versions, using an environment called "Classic". Subsequent releases of Mac OS X included 10.1 "Puma" (2001), 10.2 "Jaguar" (2002), 10.3 "Panther" (2003) and 10.4 "Tiger" (2005). Apple discontinued the use of PowerPC microprocessors in 2006. At WWDC 2005, Steve Jobs announced this transition, revealing that Mac OS X was always developed to run on both the Intel and PowerPC architectures. This was done in order to modernize the company's computers, which were impaired in performance capabilities compared to x86-based Windows PCs by the PowerPC processors. In 2005, a low-end consumer Dell Dimension desktop computer shipped with an Intel Pentium 4 processor clocked at 2.4 GHz, while only a higher-end model of the Power Mac G5's PowerPC 970 (which would have sold for over $2000 USD) processor had a clock speed in that range (the fastest dual-core Power Mac clocked at 2.7 GHz), and the last version of the PowerPC-based iMac had a maximum clock speed of 2.1 GHz. 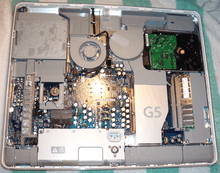 The PowerPC G5 chip's heavy power consumption and heat output (the Power Mac G5 had to be liquid-cooled) also prevented its use in Mac notebook computers (as well as the original Mac mini), which were forced to use the older and slower PowerPC G4 chip. This meant that the fastest PowerPC-based notebook ever released, the PowerBook G4, had a maximum clock speed of only 1.67 GHz. These shortcomings of the PowerPC chips were the main reasons behind Apple's transition to Intel processors, and the brand was revitalised by the subsequent boost in processing power available due to greater efficiency and the ability to implement multiple cores in Mac CPUs. All new Macs now use x86 processors made by Intel, and some were renamed as a result. Intel-based Macs running OS X 10.6 and below (support has been discontinued since 10.7) can run pre-existing software developed for PowerPC using an emulator called Rosetta, although at noticeably slower speeds than native programs. However, the Classic environment is unavailable on the Intel architecture. Intel chips introduced the potential to run the Microsoft Windows operating system natively on Apple hardware, without emulation software such as Virtual PC. In March 2006, a group of hackers announced that they were able to run Windows XP on an Intel-based Mac. The group released their software as open source and has posted it for download on their website. On April 5, 2006, Apple announced the availability of the public beta of Boot Camp, software that allows owners of Intel-based Macs to install Windows XP on their machines; later versions added support for Windows Vista and Windows 7. Classic was discontinued in Mac OS X 10.5, and Boot Camp became a standard feature on Intel-based Macs. Starting in 2006, Apple's industrial design shifted to favor aluminum, which was used in the construction of the first MacBook Pro. Glass was added in 2008 with the introduction of the unibody MacBook Pro. These materials are billed as environmentally friendly. The iMac, MacBook Pro, MacBook Air, and Mac Mini lines currently all use aluminum enclosures, and are now made of a single unibody. Chief designer Jonathan Ive continues to guide products towards a minimalist and simple feel, including eliminating of replaceable batteries in notebooks. Multi-touch gestures from the iPhone's interface have been applied to the Mac line in the form of touch pads on notebooks and the Magic Mouse and Magic Trackpad for desktops. Apple contracts hardware production to Asian original equipment manufacturers such as Foxconn and Pegatron, maintaining a high degree of control over the end product. By contrast, most other companies (including Microsoft) create software that can be run on hardware produced by a variety of third parties such as Dell, HP/Compaq, and Lenovo. 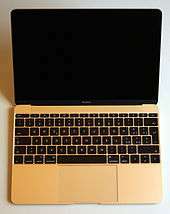 Consequently, the Macintosh buyer has comparably fewer options, but has superior integration compared to a Microsoft buyer. The current Mac product family uses Intel x86-64 processors. Apple introduced an emulator during the transition from PowerPC chips (called Rosetta), much as it did during the transition from Motorola 68000 architecture a decade earlier. The Macintosh is the only mainstream computer platform to have successfully transitioned to a new CPU architecture, and has done so twice. All current Mac models ship with at least 8 GB of RAM as standard other than the 1.4 GHz Mac Mini, MacBook Pro (without Retina Display), and MacBook Air. Current Mac computers use ATI Radeon or nVidia GeForce graphics cards as well as Intel graphics built into the main CPU. All current Macs (except for the MacBook Pro without Retina Display) do not ship with an optical media drive that includes a dual-function DVD/CD burner. Apple refers to this as a SuperDrive. Current Macs include two standard data transfer ports: USB and Thunderbolt (except for the MacBook (2015 version), which only has a USB-C port and headphone port). MacBook Pro, iMac, MacBook Air, and Mac Mini computers now also feature the "Thunderbolt" port, which Apple says can transfer data at speeds up to 10 gigabits per second. USB was introduced in the 1998 iMac G3 and is ubiquitous today, while FireWire was mainly reserved for high-performance devices such as hard drives or video cameras. Starting with the then-new iMac G5, released in October 2005, Apple started to include built-in iSight cameras on appropriate models, and a media center interface called Front Row that can be operated by an Apple Remote or keyboard for accessing media stored on the computer. Front Row has been discontinued as of 2011, however, and the Apple Remote is no longer bundled with new Macs. Following the release of Intel-based Macs, third-party platform virtualization software such as Parallels Desktop, VMware Fusion, and VirtualBox began to emerge. These programs allow users to run Microsoft Windows or previously Windows-only software on Macs at near native speed. Apple also released Boot Camp and Mac-specific Windows drivers that help users to install Windows XP or Vista and natively dual boot between Mac OS X and Windows. Though not condoned by Apple, it is possible to run the Linux operating system using Boot camp or other virtualization workarounds. Unlike most PCs, however, Macs are unable to run many legacy PC operating systems. In particular, Intel-based Macs lack the A20 gate. Compaq, who had previously held the third place spot among PC manufacturers during the 1980s and early-mid 1990s, initiated a successful price war in 1994 that vaulted them to the biggest by the year end, overtaking a struggling IBM and relegating Apple to third place. Apple's market share further struggled due to the release of the Windows 95 operating system, which unified Microsoft's formerly separate MS-DOS and Windows products. Windows 95 significantly enhanced the multimedia capability and performance of IBM PC compatible computers, and brought the capabilities of Windows to parity with the Mac OS GUI. In recent years, market share of the personal computer market is measured by browser hits, sales and installed base. If using the browser metric, Mac market share has increased substantially in 2007. Mac OS X's share of the OS market increased from 7.31% in December 2007 to 9.63% in December 2008, which is a 32% increase in market share during 2008, compared with a 22% increase during 2007. By March 2011, the market share of OS X in North America had increased to slightly over 14%. Whether the size of the Mac's market share and installed base is relevant, and to whom, is a hotly debated issue. Industry pundits have often called attention to the Mac's relatively small market share to predict Apple's impending doom, particularly in the early and mid-1990s when the company's future seemed bleakest. Others argue that market share is the wrong way to judge the Mac's success. Apple has positioned the Mac as a higher-end personal computer, and so it may be misleading to compare it to a budget PC. Because the overall market for personal computers has grown rapidly, the Mac's increasing sales numbers are effectively swamped by the industry's expanding sales volume as a whole. Apple's small market share, then, gives the impression that fewer people are using Macs than did ten years ago, when exactly the opposite is true. Soaring sales of the iPhone and iPad mean that the portion of Apple's profits represented by the Macintosh has declined in 2010, dropping to 24% from 46% two years earlier. Others try to de-emphasize market share, citing that it is rarely brought up in other industries. Regardless of the Mac's market share, Apple has remained profitable since Steve Jobs' return and the company's subsequent reorganization. Notably, a report published in the first quarter of 2008 found that Apple had a 14% market share in the personal computer market in the US, including 66% of all computers over $1,000. Market research indicates that Apple draws its customer base from a higher-income demographic than the mainstream personal computer market. ↑ Polsson, Ken (July 29, 2009). "Chronology of Apple Computer Personal Computers". Archived from the original on August 21, 2009. Retrieved August 27, 2009. 1 2 Reimer, Jeremy (December 14, 2005). "Total share: 30 years of personal computer market share figures". Ars Technica. Retrieved April 16, 2015. ↑ Raskin, Jef (1996). "Recollections of the Macintosh project". Articles from Jef Raskin about the history of the Macintosh. Retrieved November 27, 2008. ↑ Raskin, Jef (May 1984). "More Mac Reactions". BYTE (letter). p. 20. Retrieved October 23, 2013. ↑ Williams, Gregg (February 1984). "The Apple Macintosh Computer". BYTE. p. 30. Retrieved October 22, 2013. ↑ Horn, Bruce. "On Xerox, Apple and Progress". Folklore.org. Retrieved February 3, 2007. ↑ Simon, Jeffrey S. Young, William L. (2006-04-14). iCon : Steve Jobs, the greatest second act in the history of business (Newly updated. ed.). Hoboken, NJ: Wiley (retrieved via Google Books). ISBN 978-0471787846. Retrieved 2014-01-06. 1 2 Hertzfeld, Andy. "The father of the Macintosh". Folklore.org. Retrieved April 24, 2006. ↑ Hertzfeld, Andy. "Eulogy for Brian". Folklore.org. Retrieved April 5, 2014. ↑ Hertzfeld, Andy (2005). Revolution in the Valley: The Insanely Great Story of How the Mac was Made. Oreilly. p. xxiii. ↑ Hertzfeld, Andy (2005). Revolution in the Valley: The Insanely Great Story of How the Mac was Made. Oreilly. p. xxi-xxiv. ↑ Hertzfeld, Andy. "Five different Macintoshes". Folklore.org. Retrieved April 24, 2006. ↑ Hertzfeld, Andy. "Square Dots". Folklore.org. Retrieved July 24, 2012. ↑ Spector, G (September 24, 1985). "Apple's Jobs Starts New Firm, Targets Education Market". PCWeek. p. 109. ↑ "Apple Computer, Inc. Finalizes Acquisition of NeXT Software Inc.". Apple. February 7, 1997. Archived from the original on January 17, 1999. Retrieved April 27, 2010. ↑ Tracy, Ed. "History of computer design: Snow White". Landsnail.com. Retrieved April 24, 2006. ↑ McKenna, Regis (1991). Relationship Marketing: Successful Strategies For The Age Of The Customer. Addison-Wesley. pp. 192–193. ISBN 978-0201622409. ↑ Hertzfeld, Andy. "Can We Keep The Skies Safe?". folklore.org. Retrieved April 19, 2015. ↑ Zonano, Victor (Aug 4, 1985). "Regis McKenna: The P.R. Guru of Silicon Valley : Clout With High-Tech Firms and Press Is Great, but Some Are Disenchanted". LA Times. ↑ Cunningham, Andy. "Macintosh Product Introduction Plan". Technology and Culture in Silicon Valley. Stanford University. Retrieved April 19, 2015. ↑ Marinaccio, Wendy. "Andy Cunningham on the Macintosh Introduction". Technology and Culture in Silicon Valley. Stanford University. Retrieved April 19, 2015. ↑ Ghosh, Shona (June 24, 2015). "Steve Jobs' marketing maven on smashing the silicon ceiling". Marketing. Retrieved June 24, 2015. ↑ Marinaccio, Wendy. "Cunningham on the Influence of the Macintosh Launch". Technology and Culture in Silicon Valley. Stanford University. Retrieved April 19, 2015. ↑ Dvorak, John C. (1983-02-07). "Meditating on the fruit-tree fable". InfoWorld. pp. 34–35. Retrieved 1 February 2015. ↑ "Apple Macintosh 18 Page Brochure". DigiBarn Computer Museum. Retrieved April 24, 2006. ↑ Cellini, Adelia (January 2004). "The Story Behind Apple's '1984' TV commercial: Big Brother at 20". MacWorld 21.1, page 18. Retrieved May 9, 2008. ↑ Kahney, Leander (January 6, 2004). "We're All Mac Users Now". Wired. Retrieved April 11, 2010. ↑ Polsson, Ken. "Chronology of Apple Computer Personal Computers". Retrieved November 18, 2007. ↑ Beamer, Scott (January 13, 1992). "For Lotus, third time's the charm". MacWEEK. Retrieved June 23, 2010. 1 2 Hormby, Thomas (October 2, 2006). "Apple's Worst Business Decisions". OS News. Retrieved December 24, 2007. ↑ "1984 Newsweek Macintosh ads". GUIdebook, Newsweek. Retrieved April 24, 2006. ↑ "Inflation Calculator". Bureau of Labor Statistics. Retrieved May 14, 2010. ↑ McCarroll, Thomas; Michael Moritz; Philip Elmer-DeWitt (1984-04-02). "The Peanut Meets the Mac". Time. Archived from the original on 2008-06-09. Retrieved 2011-02-23. ↑ Hayes, Thomas C. (1984-04-24). "Apple is Banking on New Portable: The IIc Computer". The New York Times. Retrieved 5 January 2015. ↑ Mace, Scott (1984-04-09). "Apple IIe Sales Surge as IIc is Readied". InfoWorld. pp. 54–55. Retrieved 4 February 2015. ↑ Bartimo, Jim (1985-02-25). "Macintosh: Success And Disappointment". InfoWorld. p. 30. Retrieved 27 January 2015. 1 2 Watt, Peggy; McGeever, Christine (1985-01-14). "Macintosh Vs. IBM PC At One Year". InfoWorld. pp. 16–17. Retrieved 28 December 2014. ↑ da Cruz, Frank (1984-06-11). "Macintosh Kermit No-Progress Report". Info-Kermit Digest (Mailing list). Kermit Project, Columbia University. Retrieved 24 February 2016. ↑ Webster, Bruce (February 1986). "Programming Tool and the Atari ST". BYTE. p. 331. Retrieved 9 May 2015. ↑ McNeill, Dan (December 1987). "Macintosh: The Word Explosion". Compute! 's Apple Applications. pp. 54–60. Retrieved 14 September 2016. ↑ Technical specifications of Macintosh 512K from Apple's knowledge base and from EveryMac.com. Retrieved June 23, 2010. ↑ Technical specifications of Macintosh Plus from Apple's knowledge base and from EveryMac.com. Retrieved June 23, 2010. ↑ Technical specifications of Macintosh II from Apple's knowledge base and from EveryMac.com. Retrieved June 23, 2010. ↑ "Apple Macintosh II". Old Computers On-line Museum. Retrieved December 23, 2007. ↑ "Macintosh II Family: Fan Regulator Voids Warranty". Apple. July 2, 1992. Retrieved December 23, 2007. ↑ Technical specifications of Macintosh SE from Apple's knowledge base and from EveryMac.com. Retrieved June 23, 2010. ↑ "Apple Service Source: Apple SE/30" (PDF). Retrieved November 16, 2010. ↑ Hearm, Bob (2003). "A Brief History of ClarisWorks". MIT Project on Mathematics and Computation. Retrieved December 24, 2007. ↑ Free Software Foundation (June 11, 1988). "Special Report: Apple's New Look and Feel". GNU's Bulletin. 1 (5). Retrieved April 25, 2006. ↑ Free Software Foundation (January 1995). "End of Apple Boycott". GNU's Bulletin. 1 (18). Retrieved April 25, 2006. ↑ Technical specifications of Macintosh IIx from Apple's knowledge base and from EveryMac.com. Retrieved June 23, 2010. ↑ Technical specifications of Macintosh IIcx from Apple's knowledge base and from EveryMac.com. Retrieved June 23, 2010. ↑ Technical specifications of Macintosh SE/30 from Apple's knowledge base and from EveryMac.com. Retrieved June 23, 2010. ↑ Technical specifications of Macintosh IIci from Apple's knowledge base and from EveryMac.com. Retrieved June 23, 2010. ↑ Knight, Dan (January 2001). "32-bit Addressing on Older Macs". Low End Mac. Retrieved December 24, 2007. ↑ Technical specifications of Macintosh IIfx from Apple's knowledge base and from EveryMac.com. Retrieved June 23, 2010. 1 2 Hormby, Tom (August 17, 2013). "Michael Spindler: The Peter Principle at Apple". Low End Mac. Retrieved January 24, 2014. 1 2 Fisher, Lawrence M. (October 15, 1990). "Less-Costly Apple Line To Be Presented Today". The New York Times. Retrieved January 16, 2008. ↑ Technical specifications of Macintosh LC from Apple's knowledge base and from EveryMac.com. Retrieved June 24, 2010. ↑ Technical specifications of Macintosh IIsi from Apple's knowledge base and from EveryMac.com. Retrieved June 24, 2010. ↑ Fisher, Lawrence M. (January 18, 1991). "I.B.M. Surprises Wall Street With Strong Quarterly Net; Apple Posts 20.6% Rise". The New York Times. Retrieved January 16, 2008. ↑ Technical specifications of Macintosh Classic II from Apple's knowledge base and from EveryMac.com. Retrieved June 24, 2010. ↑ Technical specifications of Macintosh LC II from Apple's knowledge base and from EveryMac.com. Retrieved June 24, 2010. ↑ Technical specifications of Macintosh Quadra 700 from Apple's knowledge base and from EveryMac.com. Retrieved June 24, 2010. ↑ Technical specifications of Macintosh Quadra 900 from Apple's knowledge base and from EveryMac.com. Retrieved June 24, 2010. ↑ Jade, Kasper (February 16, 2007). "Apple to re-enter the sub-notebook market". AppleInsider. Retrieved December 24, 2007. ↑ Technical specifications of PowerBook 165c from Apple's knowledge base and from EveryMac.com. Retrieved June 24, 2010. ↑ Technical specifications of PowerBook 520 from Apple's knowledge base and from EveryMac.com. Retrieved November 12, 2010. 1 2 Archived December 8, 2007, at the Wayback Machine. ↑ "CISC: The Intel 80486 vs. The Motorola MC68040". July 1992. Retrieved May 20, 2013. ↑ "68040 Microprocessor". Retrieved October 2, 2014. ↑ Hormby, Thomas (January 3, 2005). "Apple's Transition to PowerPC put in perspective". Kaomso. Retrieved December 24, 2007. ↑ Polsson, Ken (December 16, 2007). "Chronology of Apple Computer Personal Computers". Retrieved December 24, 2007. 1 2 KIRKPATRICK, DAVID (April 1, 1996). "FAST TIMES AT COMPAQ WITH ECKHARD PFEIFFER AT THE WHEEL, COMPAQ IS PASSING OTHER PC MAKERS. THE COMPANY RECENTLY HIT A SPEED BUMP--BUT THE FUTURE'S SO BRIGHT THE CEO HAS TO WEAR SHADES.". Fortune.com. Retrieved November 16, 2012. 1 2 Eva Heller, Psychologie de la couleur, effets et symboliques, 119. 1 2 Fisher, Lawrence M. (August 16, 1994). "COMPANY NEWS; Wide Range Of Price Cuts By Compaq". The New York Times. 1 2 Apple Computer (June 19, 1995). "Macintosh Centris, Quadra 660AV: Description (Discontinued)". Retrieved December 24, 2007. ↑ EveryMac.com (October 27, 2009). "Umax Mac Clones (MacOS-Compatible Systems)". Retrieved November 11, 2009. ↑ EveryMac.com (October 27, 2009). "PowerComputing Mac Clones (MacOS-Compatible Systems)". Retrieved November 11, 2009. ↑ Knight, Dan (August 30, 2007). "1997: Apple Squeezes Mac Clones Out of the Market". Low End Mac. Retrieved December 24, 2007. ↑ "Apple Squeezed Mac Clones out of the Market". Umax stretched out its license as long as possible, and Apple even offered Umax the chance to continue in the sub-$1,000 market, but without the more profitable high-end models, the SuperMac division would not be viable. Even though Umax was the lone cloner to acquire a Mac OS 8 license and actually shipped some computers with OS 8, it was too little, too late. On May 27, 1998, Umax threw in the towel, the last of the Mac clone makers to fall. A handful of staffers kept SuperMac support running until late December. ↑ "Umax gets new mac license". One of the two remaining Macintosh clone makers, Umax Data Systems, has announced that it has secured a new licensing agreement with Apple Computer that allows it to offer MacOS 8.0 with its systems. To get this license, Umax had to agree to pursue markets Apple will forgo, so Umax's upcoming MacOS 8 systems will target the low-end. ↑ Engst, Adam (January 23, 2009). "The six worst Apple products of all time". Macworld. Retrieved May 14, 2010. ↑ Spooner, John (January 23, 1999). "Compaq hopes to follow iMac". ZDNet. Retrieved May 10, 2012. 1 2 Edwards, Benj (August 15, 2008). "Eight ways the iMac changed computing". Macworld. Retrieved August 27, 2009. 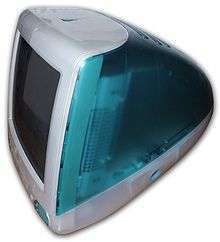 ↑ Technical specifications of iMac G3 from Apple's knowledge base and from EveryMac.com. Retrieved June 24, 2010. 1 2 "800,000 iMacs Sold in First 139 Days". Apple. January 5, 1999. Retrieved December 23, 2007. 1 2 Markoff, John (October 15, 1998). "COMPANY REPORTS; Apple's First Annual Profit Since 1995". The New York Times. Retrieved December 23, 2007. 1 2 "iBook: An iMac to Go". 1 2 "Apple Averages Three Thousand iBooks Per Day In Pre-orders!". The Mac Observer. August 31, 1999. Retrieved December 24, 2007. 1 2 "PC Data Ranks iBook Number One Portable in U.S.". Apple. January 25, 2000. Retrieved December 18, 2007. ↑ "Speed, Song Highlight Apple Product Announcements". ↑ "Apple picks up the beat with CD-RW drives". ↑ "Disney boss accuses Apple of fostering piracy". Macworld. March 1, 2002. ↑ "The Complete iTunes History – SoundJam MP to iTunes 9". ↑ "About the Macintosh Cube" (PDF). Apple. 2000. Retrieved October 9, 2008. ↑ Markoff, John; Hansell, Saul (January 12, 2005). "Apple Changes Course With Low-Priced Mac". The New York Times. Retrieved January 16, 2006. ↑ "Apple unveils low-cost 'Mac mini'". BBC News. January 11, 2005. Retrieved April 28, 2010. ↑ "Apple Developer Connection – Overview of the PowerPC System Software". Apple. Retrieved May 11, 2009. ↑ Biersdorfer, J.D. (September 14, 2000). "Apple Breaks The Mold". The New York Times. Retrieved January 16, 2008. ↑ "Apple to Use Intel Microprocessors Beginning in 2006". Apple. June 6, 2005. Retrieved May 14, 2010. ↑ Michaels, Philip (January 2, 2010). "Apple's most significant products of the decade". Macworld. Retrieved May 14, 2010. ↑ "WWDC 2005 Keynote Live Update". Macworld. June 6, 2005. Retrieved May 14, 2010. ↑ "Hackers get Windows XP to run on a Mac". MSNBC (AP). March 17, 2006. Retrieved April 24, 2006. ↑ "Boot Camp". Apple. Retrieved May 17, 2010. ↑ Dalrymple, Jim (March 5, 2006). "New Apple software lets Intel Macs boot Windows". Macworld. Retrieved May 14, 2010. ↑ "The story behind Apple's environmental footprint.". Apple. Retrieved January 24, 2011. ↑ Camen, Kroc. 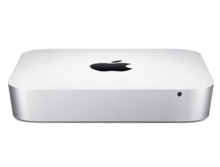 "Apple Updates Mac Mini. Aluminium, HDMI, SD card slot". OSNews. Retrieved May 13, 2012. ↑ "New MacBook Family Redefines Notebook Design". Apple. October 14, 2008. Retrieved December 23, 2009. ↑ Lam, Brian (October 20, 2009). "Apple iMac Hands On". Gizmodo. Retrieved August 18, 2010. ↑ Kahney, Leander (June 25, 2003). "Design According to Ive". Wired. Retrieved December 23, 2009. ↑ Nosowitz, Dan (November 7, 2009). "Watch Jonathan Ive's Segment in Objectified". Gizmodo. Retrieved December 23, 2009. ↑ "Apple Updates MacBook Pro Family with New Models & Innovative Built-in Battery for Up to 40% Longer Battery Life". Apple. June 8, 2009. Retrieved December 23, 2009. ↑ "Thunderbolt Technology: The Fastest Data Connection to Your PC Just Arrived". ↑ Dvorak, John C. (March 18, 2003). "Apple Switch". PC Magazine. ↑ Michaels, Phillip. "New Mac minis add Thunderbolt, lose optical drive". Macworld. Retrieved May 13, 2012. ↑ "Apple Introduces the New iMac G5". Apple. October 12, 2005. Retrieved July 12, 2006. ↑ Breen, Christopher. "Farewell Front Row". Macworld. Retrieved May 13, 2012. ↑ "Eek! A Two-Button Mac Mouse?". Wired. October 30, 2000. Retrieved December 23, 2009. ↑ "Apple Introduces Mighty Mouse". Apple. August 2, 2005. Retrieved July 12, 2006. ↑ "Apple Debuts Wireless Mighty Mouse". Apple. July 25, 2006. Retrieved November 30, 2007. ↑ "Apple Introduces Magic Mouse—The World's First Multi-Touch Mouse". Apple. October 20, 2009. Retrieved December 24, 2009. ↑ Lucas, Paul (June 4, 2005). "Paul J. Lucas's Mac Mini running Linux". Retrieved December 23, 2009. ↑ Hoover, Lisa (April 11, 2008). "Virtualization Makes Running Linux a Snap". Retrieved December 23, 2009. ↑ Polsson, Ken (July 29, 2009). "Chronology of Apple Computer Personal Computers". Retrieved August 27, 2009. See April 7, 1984. ↑ Libes, Sol (September 1985). "The Top Ten". BYTE. p. 418. Retrieved October 27, 2013. ↑ Kennedy, Don (April 16, 1985). "PCs Rated Number One". PC Magazine. p. 42. Retrieved October 28, 2013. ↑ Sandler, Corey (November 1984). "IBM: Colossus of Armonk". Creative Computing. p. 298. Retrieved February 26, 2013. 1 2 Sanger, David E. (August 5, 1985). "Philip Estridge Dies in Jet Crash; Guided IBM Personal Computer". The New York Times. Retrieved October 19, 2013. ↑ "Apple Developer News, No. 87". Apple Computer. December 19, 1997. Archived from the original on September 5, 2008. Retrieved April 24, 2006. ↑ "Nearly 600 Million Computers-in-Use in Year 2000". Computer Industry Almanac Inc. November 3, 1998. Retrieved June 1, 2006. ↑ Siracusa, John. "G4 Cube & Cinema Display (review)". Ars Technica. ↑ Benj Edwards (August 12, 2010). "The Cube at 10: Why Apple's eye-catching desktop flopped". Macworld. Retrieved October 2, 2014. ↑ "Apple - Press Info - Apple Puts Power Mac G4 Cube on Ice". Retrieved October 2, 2014. 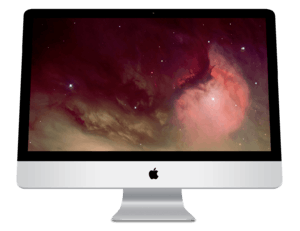 ↑ "Review: Gateway Profile 4 vs. Apple iMac". BetaNews. Retrieved October 2, 2014. ↑ Dalrymple, Jim (April 20, 2005). "Apple desktop market share on the rise; will the Mac mini, iPod help?". Macworld. Retrieved April 24, 2006. ↑ Dalrymple, Jim (October 19, 2006). "Apple's Mac market share tops 5% with over 30% growth". Macworld. Retrieved December 22, 2006. ↑ "Operating System Market Share". Hitslink. July 2009. Retrieved August 27, 2009. ↑ MacDailyNews (June 15, 2005). "16% of computer users are unaffected by viruses, malware because they use Apple Macs". Retrieved April 24, 2006. ↑ "Trends in Mac market share". Ars Technica. April 5, 2009. Retrieved August 27, 2009. ↑ "Apple Reports First Quarter Results". Apple. January 25, 2009. ↑ "Apple's Mac market share grows 18.9% in first quarter". Loopinsight.com. April 13, 2011. Retrieved July 5, 2011. ↑ "Apple Grabs Record US PC Market Share On Strong Mac Sales in Q3 2014". macrumors.com. ↑ "Top 10 Mac countries by market share". 9to5Mac. March 17, 2011. Retrieved July 15, 2013. ↑ Gruber, John (July 23, 2003). "Market Share". Daring Fireball. Retrieved April 24, 2006. ↑ Brockmeier, Joe (May 13, 2003). "What Will It Take To Put Apple Back on Top?". NewsFactor Magazine online. Archived from September 14, 2015 the original Check |url= value (help) on March 4, 2016. Retrieved April 24, 2006. ↑ "Despite growing sales, Mac's share of Apple profits wanes". ↑ Toporek, Chuck (August 22, 2001). "Apple, Market Share, and Who Cares?". O'Reilly macdevcenter.com. Retrieved April 24, 2006. ↑ Spero, Ricky (July 14, 2004). "Apple Posts Profit of $61 million; Revenue Jumps 30%". The Mac Observer. Retrieved April 24, 2006. ↑ Wilcox, Joe. "Macs Defy Windows' Gravity". Apple Watch. Retrieved May 19, 2008. ↑ Fried, Ian (July 12, 2002). "Are Mac users smarter?". news.com. Retrieved April 24, 2006. 1 2 3 "How Apple took over the only segment of the PC market that still matters". ZDNet. August 20, 2014. Retrieved October 2, 2014. ↑ "Decline of the Desktop Mac". Retrieved October 2, 2014. 1 2 "Apple's MacBook Air 13": The perfect ultrabook", VentureBeat (review), July 16, 2012 . 1 2 "MacBook Air vs. Ultrabooks", PCMag . ↑ Markoff, John (April 6, 2006). "Windows or Mac? Apple Says Both". New York Times. Retrieved July 15, 2013. ↑ Black Friday: Unusual Apple Deals, InformationWeek, November 23, 2012. ↑ Markoff, John. "Apple Aims for the Masses With a Cheaper iPhone". The New York Times. The New York Times Company. Retrieved December 11, 2014. ↑ "Apple's Holiday MacBook Sales Down 6% in 2012, PCs down 11%", The Mac Observer . 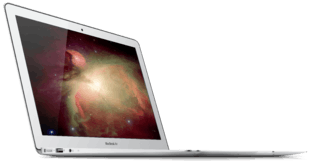 ↑ "MacBook Air Continues to Trounce Ultrabooks", Trusted Reviews . ↑ "MacBook Air continues to dominate Ultrabook market, while competition awaits Windows 8", Macworld, UK . ↑ "The MacBook Air Is Killing Ultrabook Sales", Cult of Mac . 1 2 "Ultrabooks vs MacBook Air 2013 comparison: features, battery and more". UltraBook Review.com. November 26, 2013. Retrieved January 24, 2014. ↑ author. "NPD: MacBook Air owns 56 percent of the US ultrabook market". Retrieved October 2, 2014. ↑ "Three Reasons The Surface Pro 3 Is Struggling". Forbes. August 11, 2014. Retrieved October 2, 2014. ↑ Jared Newman (July 12, 2012). "Why Ultrabook Sales Have Flopped So Far". PCWorld. Retrieved October 2, 2014. ↑ "PC floggers scavenge for crumbs as Apple hoovers up profits.". Retrieved October 2, 2014. ↑ "Apple desktops overtake Dell on shoppers' holiday wish lists". CNET. Retrieved October 2, 2014. Herrick, Dennis (2012). Technological milestones of the electronic age. ISBN 9780826351630. Retrieved March 11, 2014. Hertzfeld, Andy. "folklore.org: Macintosh stories". Retrieved April 24, 2006. Knight, Dan (2005). "Macintosh History: 1984". Retrieved April 24, 2006. Singh, Amit (2005). "A History of Apple's Operating Systems". Retrieved April 24, 2006.